The new Multibody Dynamics Module provides engineers with an advanced set of tools to design and optimize mechanical systems to reduce product development costs. This module enables simulation of an assembly of flexible and rigid bodies, along with physical phenomena like structural, heat, electrical, and others. One of the key capabilities included in this module is an easier and faster way of building connections between different bodies using various types of predefined Joints. The objective of multibody analysis is to find critical areas of a system to perform more detailed component-level structural analysis. Multibody analysis also gives insight into the system dynamics, forces experienced by segments of the structure, and stresses generated in flexible components leading to failure due to large deformation or fatigue. In mechanical systems, components are interconnected in such a way that only a certain type of motion is allowed between them. One way to model such types of connections is to establish physical contact, or unilateral contact, between the two components. 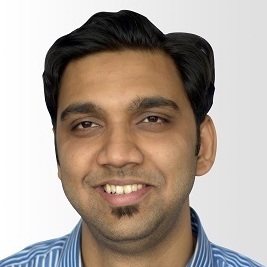 The benefit of using the unilateral contact approach lies in the fact that it is very generic and can model any type of connection. However, this approach only works if you use actual physical geometry of the components and fails to work with the abstract form of the system. Moreover, this approach, in spite of being generic, is computationally difficult to solve in general and the difficulty level increases significantly in cases where friction needs to be accounted for on the contact surfaces. When it comes to complex mechanical systems, a computationally-efficient technique is needed to model the connections. Here comes the mathematical representation of different types of connections known as Joints. An approximation is taken in cases of flexible components where the connecting surfaces are assumed rigid. These Joints provide an efficient way to connect two or more components by constraining their motion without solving for the physical contact between them. 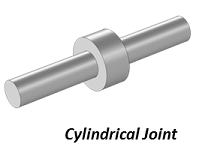 A Joint feature of the Multibody Dynamics Module requires the center of the joint and the axis of the joint as an input. These inputs can be either extracted from the physical geometry or can be given directly. A multibody analysis, using rigid body dynamics approach, is used to find motion and stability of mechanical systems. The stresses and deformation in a component can be estimated later using the forces experienced by the component. This approach works for small elastic deformations. However, in the presence of large deformations and material nonlinearities, a Flexible Multibody Analysis is the only way to get accurate results, and hence optimize the design. In a Flexible Multibody Analysis, components of a system that are likely to have large deformations are modeled as flexible and other components are assumed rigid. Establishing connections using Joints and performing a Flexible Multibody Analysis is easy through the new Multibody Dynamics Module that was released on May 3rd with COMSOL Version 4.3b. 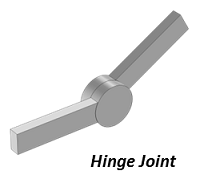 A library with eight different types of Joints, namely, Prismatic, Hinge, Cylindrical, Screw, Planar, Ball, Slot, and Reduced Slot are included in this module. Transient, frequency-domain, eigenfrequency, and stationary multibody dynamics analyses can be performed. Sometimes the allowed motion between two components is not free due to the restrictions imposed by other physical objects. Here, the ability to limit and conditionally lock the motion is something that helps in modeling complex systems. In the field of robotics, the motion between two components is in general a known function of time. 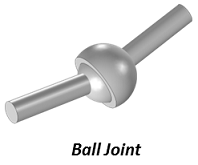 Many times, Joints are spring-loaded instead of being free to improve the system stability. All this is possible to model with this new module. The Multibody Dynamic Module expands on previous capabilities of COMSOL Multiphysics and the Structural Mechanics Module, and it is the first dedicated product we have released that deals with the modeling of a mechanical assembly. 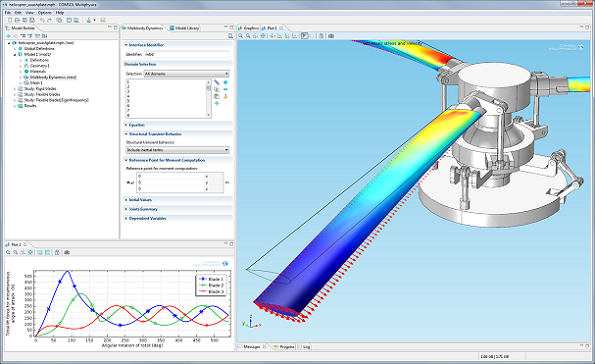 Tune into our free Multibody Dynamics Simulations webinar on June 13th to learn more. I am completing your model and doing some analysis with the Helicopter Swashplate Mechanism. Could you contact me concerning this model and your analysis? How difficult would it be to change the blade plane angle from the normal helicopter range from -10 deg to 20 deg (fast cruise) to something like 60-90 degrees, ie like a propeller with the blade plane close to normal to the vehicle velocity vector? Would you be interested in working on a NASA Tech Brief with the result of that, as a combined effort? Thanks. Thank you for your comment and investigating the model. I believe you are also communicating with our Support Team about the same issue. It would be best if we continue the conversation through that forum.